The World Meteorological Organization has just submitted a detailed climate analysis for the last 5 years (2011-2015) — the hottest years on record — and it doesn’t look very good. The WMO report “The Global Climate in 2011-2015” shows that humanity’s footprint on extreme weather and climate events is becoming more pronounced, dangerous, and costly to deal with. Artist credits Asmaâ Ouassou. Photo by ZME Science / COP22. A simple Google search and you can see a pattern emerging: we’ve consistently been reporting that this “is the warmest year” or “the warmest month on record” for quite some time now. I’d like to be able to say we were wrong at least once but, according to the WMO’s climate analysis of 2011-2015, we weren’t. It’s what we do. The paper also shows that rising sea levels, a reduction in Arctic sea ice, continental glaciers, and snow cover in the northern hemisphere have accompanied these record-breaking temperatures. 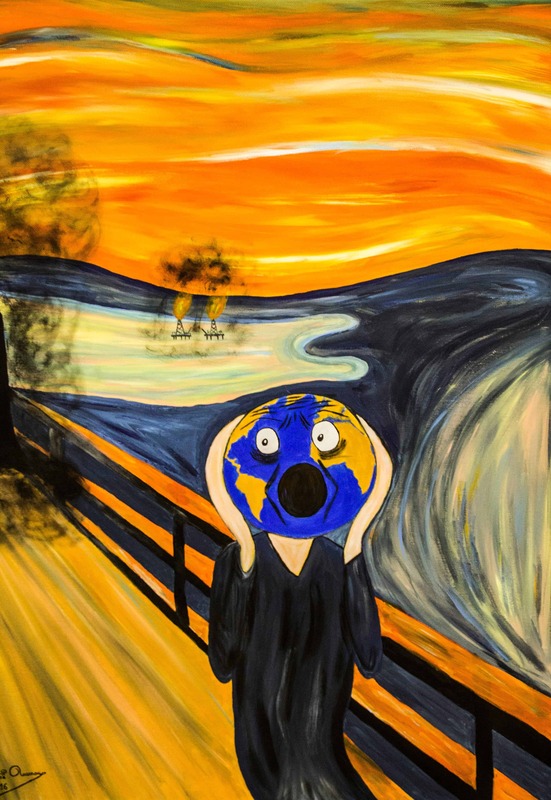 “The effects of climate change have been consistently visible on the global scale since the 1980s: rising global temperature, both over land and in the ocean; sea-level rise; and the widespread melting of ice. It has increased the risks of extreme events such as heatwaves, drought, record rainfall and damaging floods,” said WMO Secretary-General Petteri Taalas. 5 Where does this leave us? These past five years have been the warmest ever globally recorded for all continents apart from Africa — here, it was the second warmest, the paper reports. Mean temperatures over these five years were 0.57 °C (1.03 °F) above the 1961-1990 figure. For 2015, the warmest year yet, mean temperatures were 0.76 °C (1.37 °F) above the 1961–1990 average. It was also the first year when temperatures have passed the 1 °C above pre-industrial era levels mark. And it wasn’t a fluke occurrence, either — the second warmest year after 2015 was, you guessed it, 2014. The oceans have also been feeling the heat, with mean temperatures rising to unprecedented levels. The global-average surface temperatures for 2015 were, again, the highest ever on record, followed by those in 2014. While most areas of the world recorded higher-than-average water surface temperatures, parts of the Southern Ocean and eastern South Pacific saw below-average temperatures. Arctic sea coverage also continued to decline. The mean Arctic sea-ice extent in September, averaged for 2011-2015, was 4,70 million sq km (1,82 million sq miles), 28% lower than the 1981-2010 average. For summer months, the 3,39 million sq km ice recorded in 2012 is the lowest we’ve ever seen. On the other end (pun intended) Antarctic ice extent was above the 1981-2010 average values during the timeframe, particularly during the winter maximum. On land, things aren’t looking very well. The Greenland ice sheet experienced above-average levels of melt, with the summer months throughout the study period exceeding the melt seen in the reference years of 1981-2010. Mountain glaciers have also experienced a continued decline in volume. Snow cover extent in the northern hemisphere was “well below average” in all five years from May to August, continuing a powerful downward trend. Image credits Sebastian Voortman / Pexels. 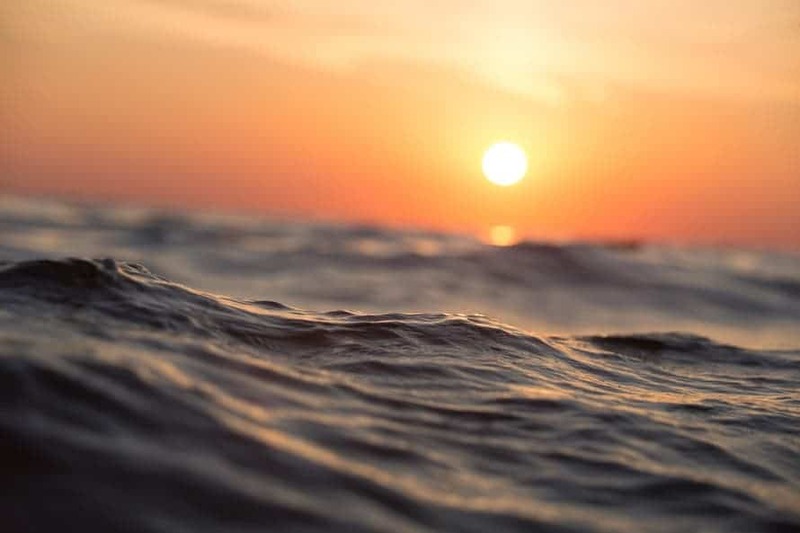 Increased ocean heat accounted for roughly 40% of the observed sea-level rise in the past 60 years, the report says (as seawater heats up, it expands). The contribution of continental ice sheets to sea-level rise (through melt) is also accelerating, particularly fed by the Greenland and west Antarctica sheets. Sattelite records from 1993 to the present show that sea levels have risen approximately 3 mm per year. In 1900-2010, this trend (measured based on tide gauges) was 1,7 mm per year — an almost 100% increase. Warming climate means there’s more energy available to fuel freak weather patterns. Several individual weather and climate events were identified during 2011-2015 that were likely made more severe as a result of human-induced climate change. In the case of some extreme high-temperature events, the probability factor was increased by ten or more, the paper notes. Examples of this include the record high seasonal and annual temperatures seen in the US in 2012, or Australia and western Europe in 2013 and 2014. In many cases, there wasn’t as much evidence to tie freak precipitation patterns to climate as for the other elements, for example, the 2011 floods in South-East Asia. But the extreme rainfalls in the UK during December 2015 were found to have been increased by as much as 40% due to climate change. In other cases, the effect is more indirect. The 2014 drought in south-east Brazil was linked to three similar rainfall deficits on since 1940, but climate change amplified its effects by creating a substantially larger demand for water (also tied to population growth). There have also been events, such as the unusually prolonged, intense and hot dry seasons in the Amazon basin of Brazil in both 2014 and 2015, which are of concern as potential “tipping points” in the climate system. The report confirms (again) that what we’re seeing isn’t natural — greenhouse gas emissions power a long-term warming trend. CO2, one of the prime drivers of warming, passed the 400 parts per million (ppm) in the atmosphere mark in 2015, according to the report. The paper also examined 79 studies published in the Bulletin of the American Meteorological Society between 2011 and 2014 and found that more than half found evidence that human-caused climate change “contributed to the extreme event in question.” Some of them considered the probability of extreme heat increased by 10 times or more. The paper also estimates, based on statistics of losses and damage provided by the UN, the cost of climate change. The East African drought in 2010-2012 led to an estimated 258,000 excess deaths, and the 2013-2015 southern African drought. Approximately 800 deaths and more than US$40 billion in economic losses were tied to flooding in South-East Asia in 2011. Heatwaves in India and Pakistan in 2015 claimed more than 4,100 lives. Hurricane Sandy, in 2012, caused economic losses totaling US$67 billion in the United States of America. The deaths of 7,800 people were associated with Typhoon Haiyan in the Philippines in 2013. So, in a pretty precarious position. Organizations like the UN are trying to get world leaders to act on the issue — this is why we have COP’s. The agreement in Paris last year has been criticized as being too limited but, for better or worse, it has been reached and then entered into force. But a lot of damage has already been done. Decisive action is needed, and it’s needed fast. “The Paris Agreement aims at limiting the global temperature increase to well below 2° Celsius and pursuing efforts towards 1.5° Celsius above pre-industrial levels. This report confirms that the average temperature in 2015 had already reached the 1°C mark. We just had the hottest five-year period on record, with 2015 claiming the title of hottest individual year. Even that record is likely to be beaten in 2016,” Taalas added. There are a lot of economic interests in play against the things being discussed and decided here, just as it happened with COP21. But as the WMO report shows, it’s time to take things seriously. This conference has been touted as “the COP of action” and hopefully, that will be the case. The report was submitted to COP22 in a five-year timescale to allow a better understanding of climate trends and extreme events (such as prolonged droughts and recurrent heatwaves) compared to an annual report. WMO will release its provisional assessment of the state of the climate in 2016 on 14 November. The two papers will serve to inform and steer the negotiations in Marrakech.